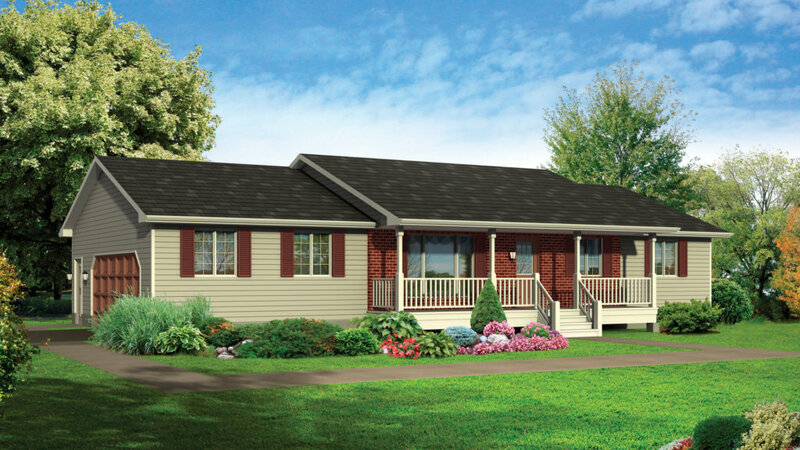 The Kingsford home offset roof gives a contemporary architectural look and a beautiful, covered front porch to this dynamic three-bedroom home. 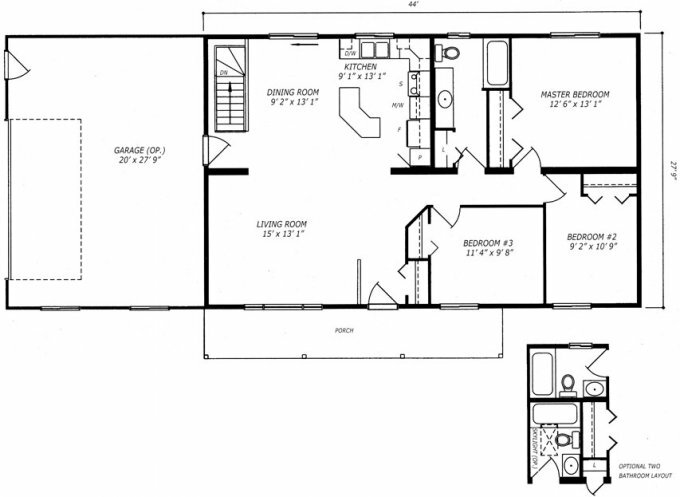 The large living room window fills the spacious, open-concept interior with light. The well-appointed kitchen features a convenient work island and extensive cabinetry, including a microwave shelf and a pantry. If you like, add the optional 4-piece ensuite, a fireplace or other features from our wide range of available options.